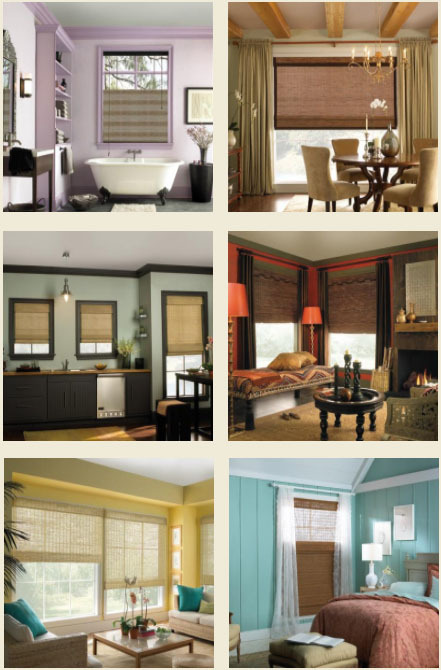 Woven Wood Shades offer a wide choice of quality fabrics in both solids and textures. Woven Wood Shades ranging from transparent opacities to room darkening. Our Woven Wood shades are suited for the Home or Office with a combination of simplicity, sophistication, versatility, and value.